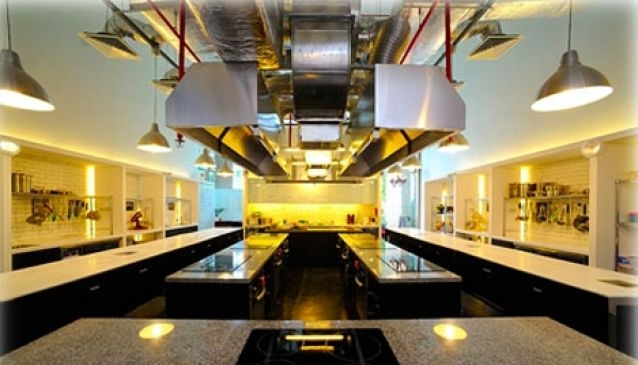 Palate Sensations offers a wide variety of hands on cooking classes to cater the needs of both passionate home cooks and aspiring professionals. Located in the Buona Vista neighbourhood in an immense 2,000 sq ft space, Palate Sensations features an open concept studio with state-of-the-art equipment. Among the most saught-after classes, you'll find 'Fundations of Chinese Cuisine', 'Fundamental of French Pastry', ' The Art of Bread Making', 'La Bella in Cuccina' and 'Fundations of Culinary Arts- Chef in Training Series 1 & 2'. Palate Sensations can also arrange a dedicated class for tourists (minimum of 2 participants) where you'll be able to visit and buy your ingredients at the market and cook some Singapore's favourites such as Chicken Tikka Masala (Indian), Beef Rendang (Malay), and Bak Kut Teh (Chinese).